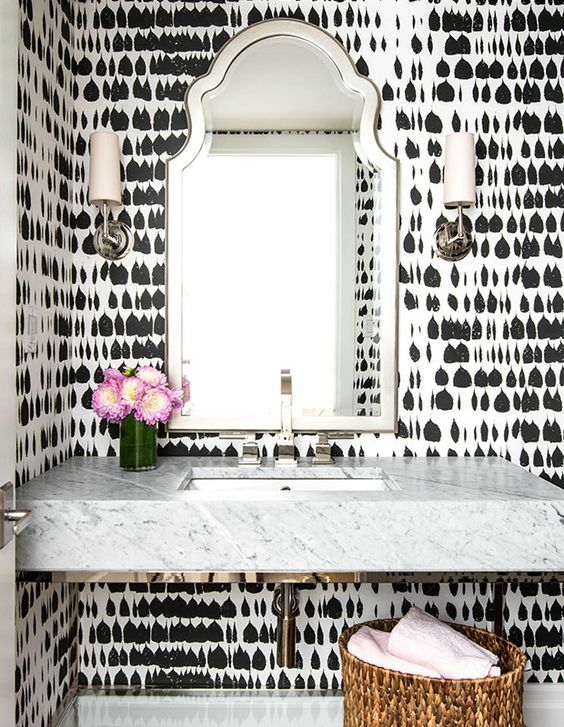 The powder bath, in my opinion, is one of the most fun rooms to decorate! A lot of people seem surprised when I say this since it is such a small and simple bathroom. This is a space though where you can go a little crazier than normal - paint a bold color, hang some loud wallpaper, and pick some killer fixtures to make a statement...it can be such a tiny space, so I like to have a lot of fun with it!